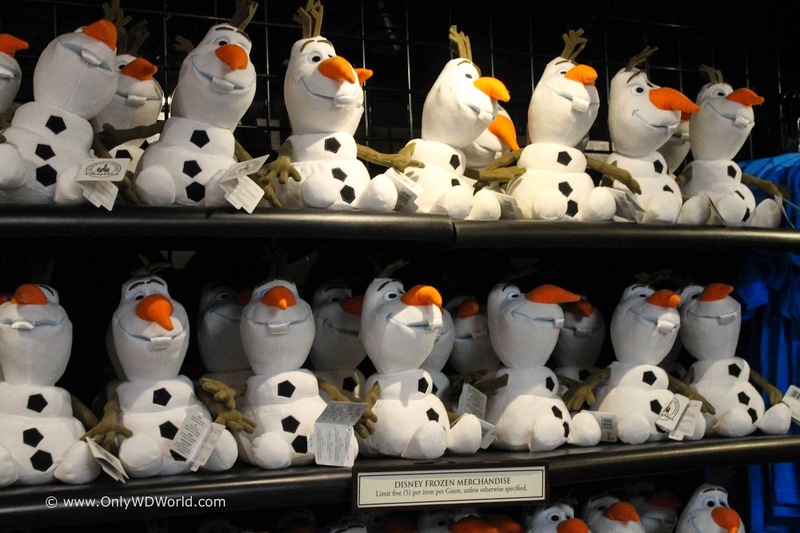 You can never get enough of Olaf, the lovable snowman from the Disney hit Frozen. 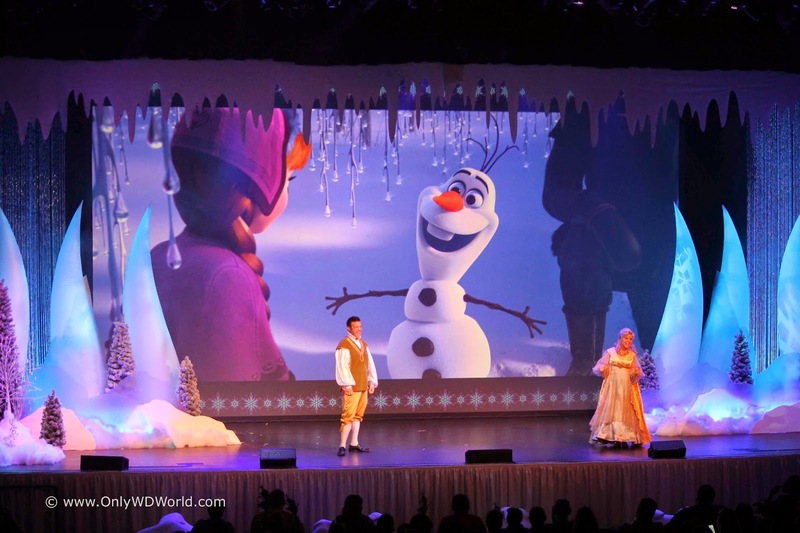 During Frozen Summer Fun at Disney's Hollywood Studios there are a great number of ways to see and enjoy Olaf! Every day for the rest of the summer you can enjoy special Frozen related parades, shows, food, and merchandise with Olaf being a key part of all of the festivities. 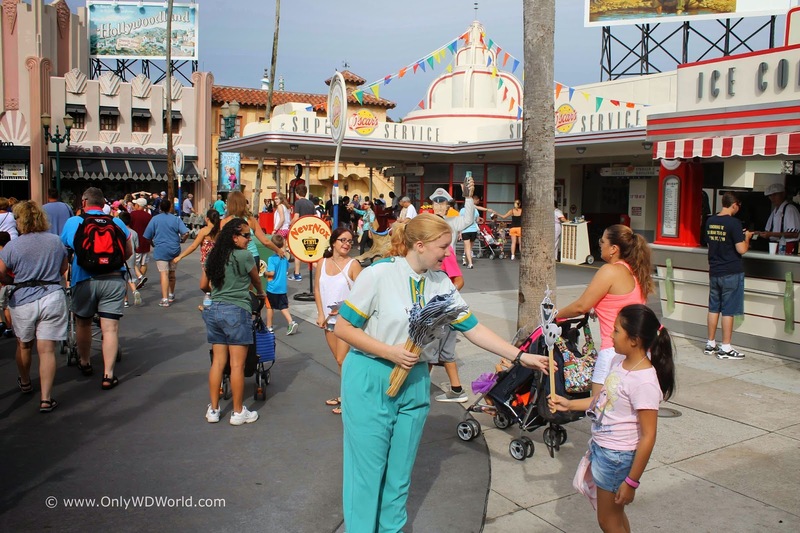 The first sighting of Olaf at Disney's Hollywood Studios happens before you even enter the park. 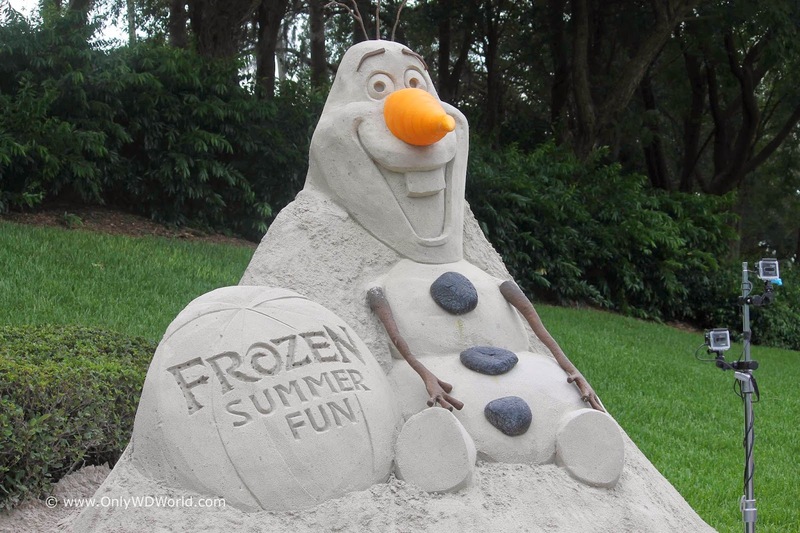 Olaf has been recreate, larger than life, with a fantastic sand sculpture. Make sure you check it out before you rush into the park. Take Olaf With You During Your Adventures! 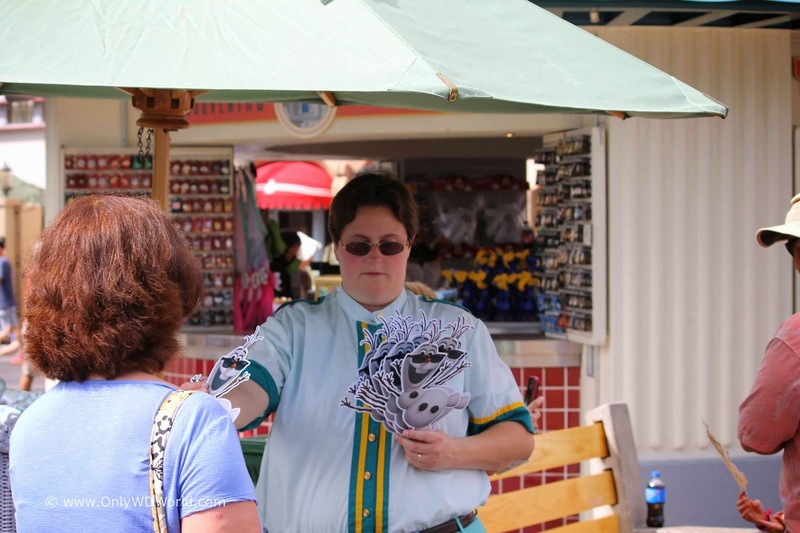 Olaf is never far from you, thanks to the special Olaf cutout mounted on sticks that are handed out to every Hollywood Studios guest as they enter the park. There is no reason not to enjoy a selfie or two with the summer-loving snowman during your Disney World Vacation. 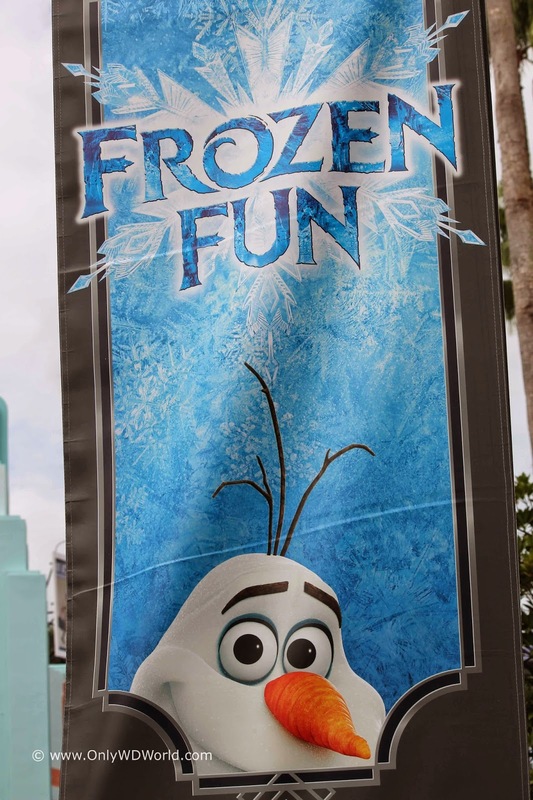 Frozen Summer Fun banners are seen throughout Disney's Hollywood Studios and Olaf has a prominent place on a number of them. How can you look at that and not smile? 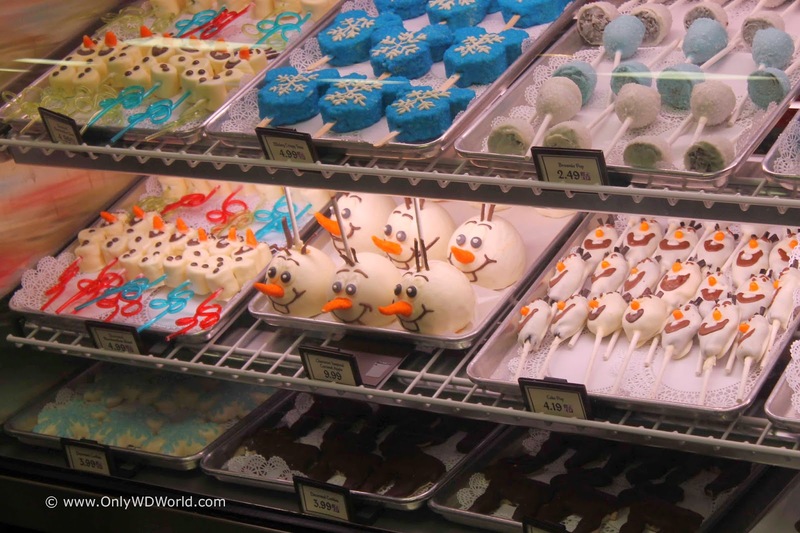 Plenty Of Olaf Treats During Frozen Summer Fun! So Cute You Could Eat Him! 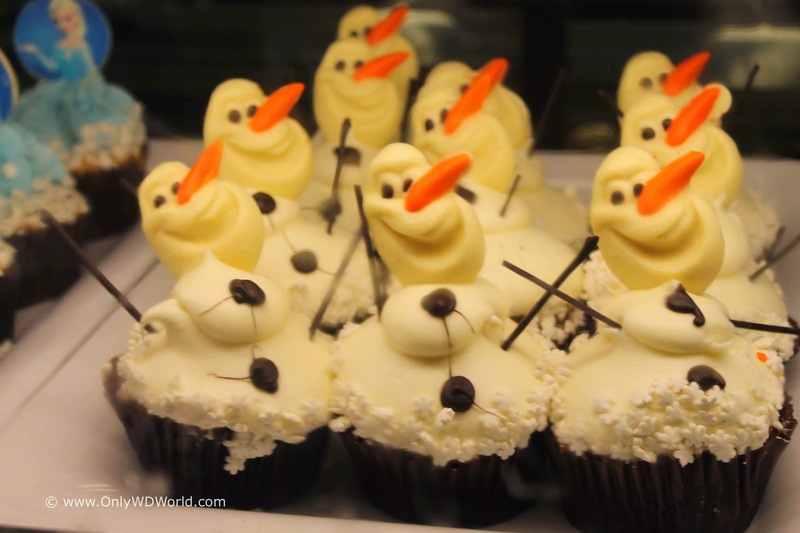 If you are not a cupcake fan, there are still many other Olaf themed treats for you to try! 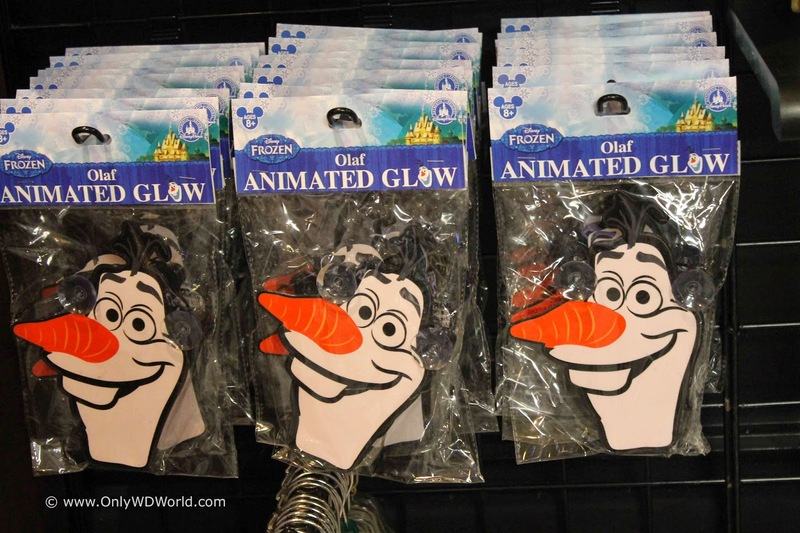 Take Olaf Home With You! 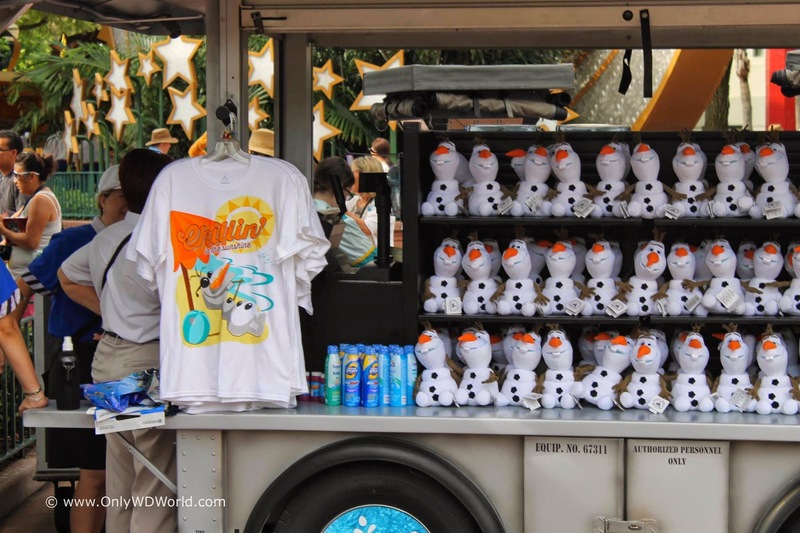 For those who want their own Olaf to take home to enjoy every day, there is plenty of merchandise to help you get your Olaf fix. 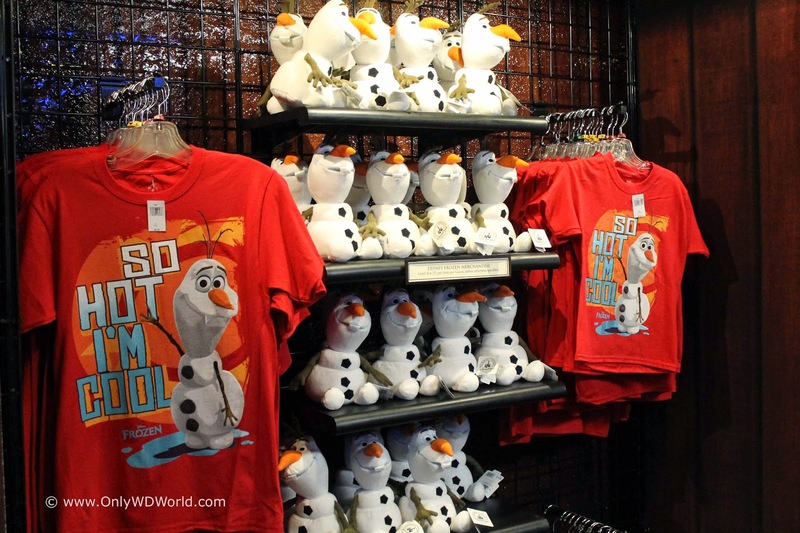 Whether it is the perfect plush toy, catchy T-shirt, trading pin, or more there is something Olaf themed for you! 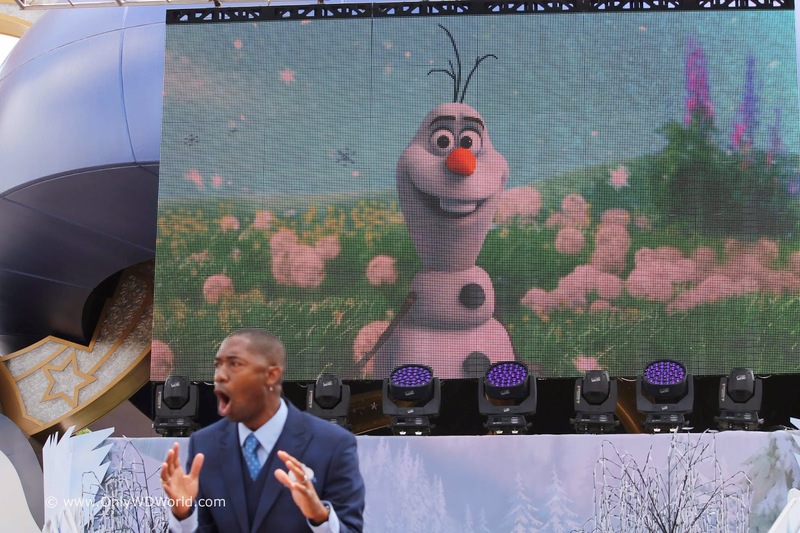 Stealing The Show As Only Olaf Can Do! Some may think think of Olaf's role as comic relief, but he is a scene stealer plant and simple. 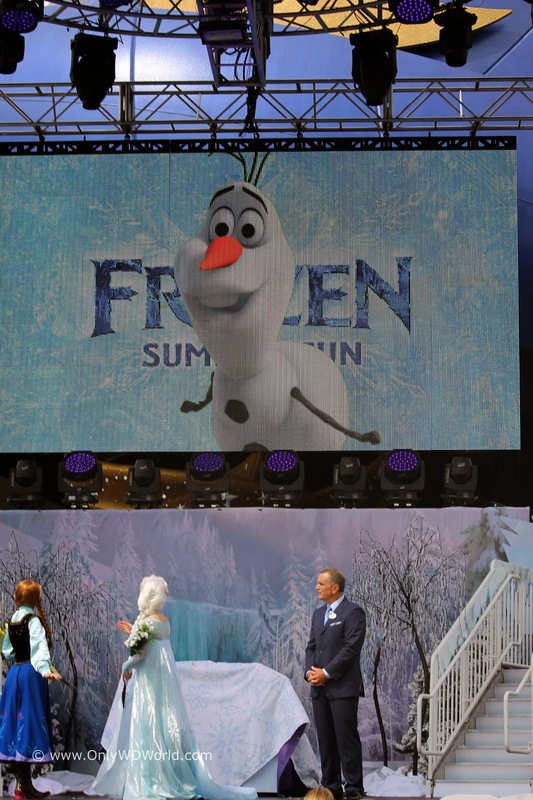 During Frozen Summer Fun, Olaf attempts to steal the show and warm your heart as only he can do it! Frozen Summer Fun with Olaf Is A Hit! If you are an Olaf fan, and who isn't, there are many great ways to see, touch, listen to, and even nibble on the lovable snowman who loves summer. Don't miss your chance to experience Frozen Summer Fun at Disney's Hollywood Studios before it is over.! 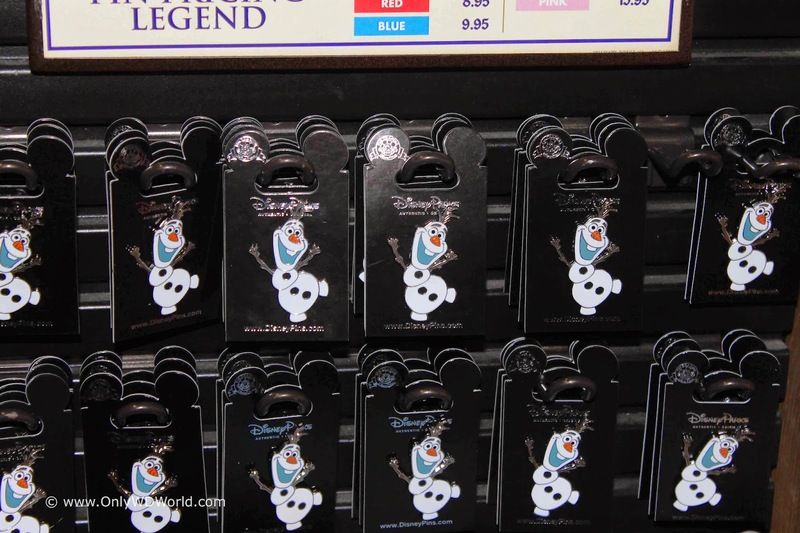 0 comments to "Never Enough Olaf During Frozen Summer Fun at Disney's Hollywood Studios"